How to Get Promoted and Succeed, Promoted and Succeed,.. There are many smart and pedigreed people who fail, or at least do not achieve as much success as they would like. Among entrepreneurs, it leads to business failure. Among the millions who work for companies small and large, many aspire to climb to senior positions but few attain them. The percentage who do is in the single digits. About 50% of the people who get promoted, fail, hit a wall or end up leaving (or having to leave) the company. Listen to this podcast to learn how you can get promoted and succeed, get promoted and succeed, get….you get the idea. 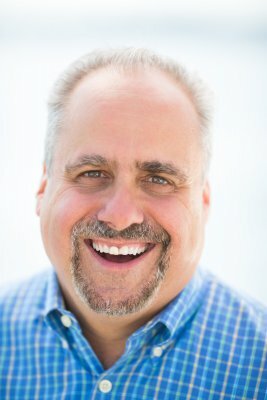 This is a conversation with Ron Carucci, Managing Partner of Navalent, an organizational consulting firm out of Seattle. He conducted a 10-year study of what make certain executives successful and others not. Find out how you too can get promoted and succeed, promoted and succeed,..
Ron’s clients include some of the biggest names in business. Ron has written over 75 articles for the Harvard Business Review and Forbes, given two TEDx talks and been on over a hundred podcasts. What are some key things you learned about what it takes to succeed in business? Do organizations accept the high failure rate among people who get promoted? Are people being prepared to succeed in new roles when they get promoted? What is the problem with sending up and coming executives to leadership programs at prestigious universities? What were the four patterns that consistently set leaders apart? What happens to executives who succeed only at three of the four patterns of success? Do you need to be older in order to ‘fit’ for a senior promotion? Can you get promoted and succeed if you started preparing to succeed earlier? What is a rubric for success if you want to get promotions and succeed in each successive role? What are the most common reasons fail when they get promoted to senior positions? what is the ultimate aspiration of an individual who continues from success to success? What are the differences between newly-promoted people who are successful and those who are nearly-successful? When is the best time to start preparing to succeed in your next promotion and the one after that? Why is there a gap between people knowing what needs to be done and doing what needs to be done? P.S. I realized a rather obvious thing. Most of us read articles like this but never act on it. You can only learn and get better results from the insights when you L.P.T. – listen, practice and tell/teach others, whether they are colleagues, friends or family. I hope you L.P.T. what you glean from this.